Enzymes are biological catalysts that play an important role in determining the patterns of chemical transformations pertaining to life. Many milestones have been achieved in unraveling the mechanisms in which the enzymes orchestrate various cellular processes using experimental and computational approaches. Experimental studies generating nearly all possible mutations of target enzymes have been aided by rapid computational approaches aiming at enzyme functional classification, understanding domain organization, functional site identification. The functional architecture, essentially, is involved in binding or interaction with ligands including substrates, products, cofactors, inhibitors, providing for their function, such as in catalysis, ligand mediated cell signaling, allosteric regulation and post-translational modifications. With the increasing availability of enzyme information and advances in algorithm development, computational approaches have now become more capable of providing precise inputs for enzyme engineering, and in the process also making it more efficient. This has led to interesting findings, especially in aberrant enzyme interactions, such as hostpathogen interactions in infection, neurodegenerative diseases, cancer and diabetes. This review aims to summarize in retrospection – the mined knowledge, vivid perspectives and challenging strides in using available experimentally validated enzyme information for characterization. An analytical outlook is presented on the scope of exploring future directions. Keywords: Catalytic residues, Protein-ligand interaction, Post-translational modifications, Allostery, De novo prediction, Template- based prediction, Enzyme engineering, Rational drug design. Keywords:Catalytic residues, Protein-ligand interaction, Post-translational modifications, Allostery, De novo prediction, Template- based prediction, Enzyme engineering, Rational drug design. Abstract:Enzymes are biological catalysts that play an important role in determining the patterns of chemical transformations pertaining to life. Many milestones have been achieved in unraveling the mechanisms in which the enzymes orchestrate various cellular processes using experimental and computational approaches. Experimental studies generating nearly all possible mutations of target enzymes have been aided by rapid computational approaches aiming at enzyme functional classification, understanding domain organization, functional site identification. The functional architecture, essentially, is involved in binding or interaction with ligands including substrates, products, cofactors, inhibitors, providing for their function, such as in catalysis, ligand mediated cell signaling, allosteric regulation and post-translational modifications. With the increasing availability of enzyme information and advances in algorithm development, computational approaches have now become more capable of providing precise inputs for enzyme engineering, and in the process also making it more efficient. This has led to interesting findings, especially in aberrant enzyme interactions, such as hostpathogen interactions in infection, neurodegenerative diseases, cancer and diabetes. 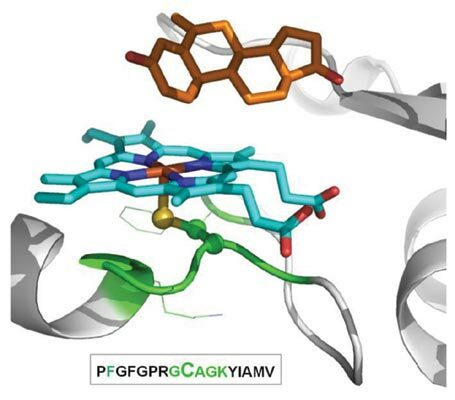 This review aims to summarize in retrospection – the mined knowledge, vivid perspectives and challenging strides in using available experimentally validated enzyme information for characterization. An analytical outlook is presented on the scope of exploring future directions.